A *little* while ago, I developed and blogged about a app which used ES Workplace’s enterprise services to power a simple CRM client on the iPad – I also mentioned it was going to be a free downloadable app in the app store, well that time has finally arrived. You can now download iCRM for SAP in the app store, create an account on the ES Workplace landscape and test it out. The best part is that if you have any of these ES Workplace services/configured or implemented in your own CRM landscape you can connect to them by simply changing the configuring in the app’s settings. - View your business partners. - View business partner contacts. - Business partner attributes can be shown for additional insight. 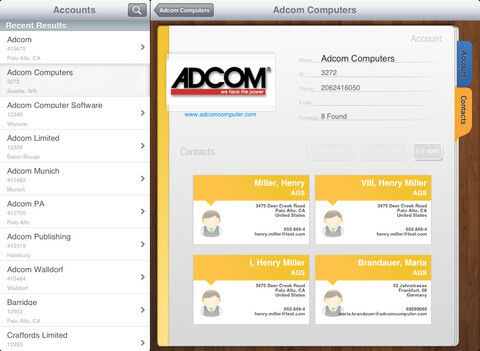 - Quick and easy login using your SAP CRM username/password. - No middleware or additional mobile platforms required.